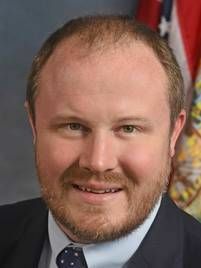 TALLAHASSEE, FL – The Florida Retail Federation (FRF) PAC today announced its endorsement of republican Matt Caldwell for Agriculture Commissioner. Caldwell is a 7th-generation Floridian who grew up in Lee County and was first elected to the Florida House in 2010. He served on several committees during his tenure in the House, including transportation, tax policy, redistricting, insurance, banking, and local & federal government affairs. He most recently chaired the Government Accountability Committee, which oversees subcommittees regarding natural resources and public lands, transportation and infrastructure, local, federal, and military issues, and oversight of government operations, such as pensions and elections.